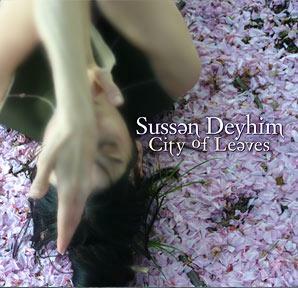 There's an earnestness in Sussan Deyhim's arrangements and vocals that's so aggressive, so demanding, that some listeners may write her music off as a variant of Bjork, Shiela Chandra or even Laurie Anderson. 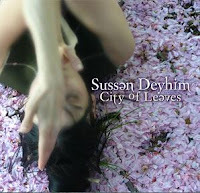 And that would be a tragic mistake, for while there are passing similarities, Deyhim's music is unique, and stunning. It's deeply rooted in her tradition (Persian), while branching into very modern, explorative styles. This was true in her Sufi-infused album Madmen of God, and it's no less true in her new album City of Leaves, which Deyhim says "derives from my love for many brilliant vocal traditions of the East and the West, from the old to the new, from young to not so, from intuitive to deeply pensive, for the monk and the punk." [I] have a few questions for traditionalists which hold culture hostage to heavy-handed gate-keeping as opposed to tradition lovers, although I do understand the 'romance' attached to keeping the traditions as intact as possible. ... What we hear as musicians is sometimes referential to a tradition, but one hopes to stay open to the vast, mysterious, sublime and subliminal language of the sonic universe.